This easy to use CEO Tracker has everything you need to get started with tracking the numbers that matter most! All you need to do is enter the numbers and the tracker gives you the amount and direction of change. Two bonus worksheets are also included for a balance sheet and income statement. This tracker and bonuses are great for the early stages entrepreneur and anyone operating a hobby business. By knowing your numbers, you'll be able to make well-informed decisions for your business. The CEO Dashboard is a great way to quickly see trends for five metrics that matter to CEOs. Being able to see data in this way helps us make informed decisions about what to do in business. When you purchase the CEO Dashboard, you'll be sent the CEO Tracker to complete. From there, simply return the tracker and your dashboard will be sent back to you! This dashboard is valuable for entrepreneurs at all stages. This is a one-time dashboard and the data displayed is dependent on the amount of data that is provided in the tracker. Quarterly dashboard for the metrics that matter most for CEOs. Quarterly monitoring is a great way to help ensure your business is in line with your financial objectives. Entreprenuers who purchase this package will receive a link to an online tracker. The data that is inputted will then feed the dashboard which will be sent back on a quarterly basis. The CEO Dashboard(s) have standard color palette though entrpeprenuers may want dashboards in their brand colors. For a small fee, your company can have the colors in the dashboard changed to be consistent with your look. Let your numbers shine and your brand show. 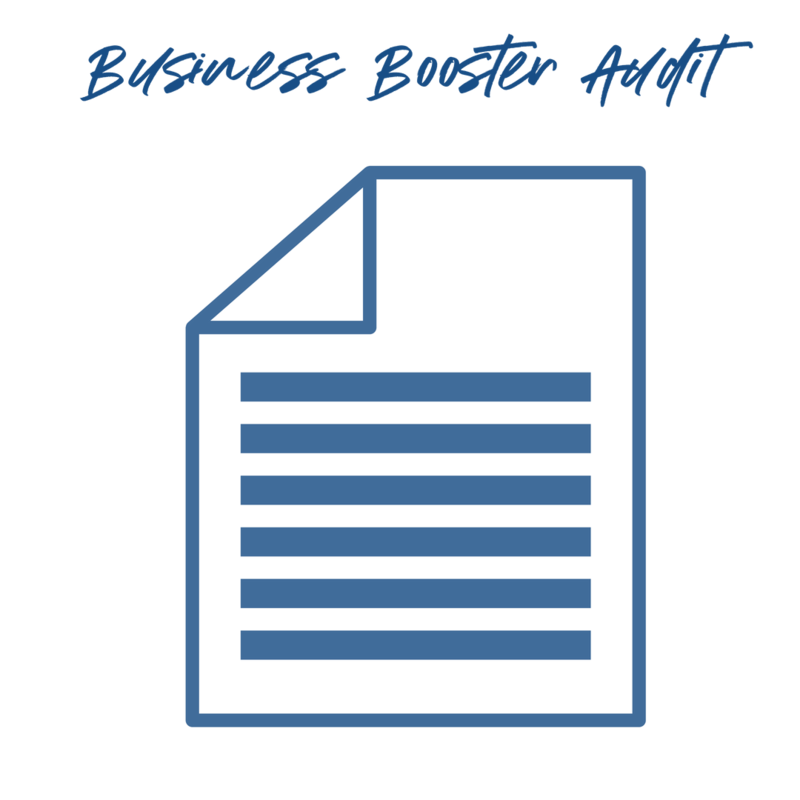 The Business Booster Audit is best suited for early-stage entrepreneurs, entrepreneurs who have labor-intensive processes for doing business, or entrepreneurs who want to identify gaps in their processes in order to serve their clients better. The objective of this audit is to identify opportunities to automate processes, especially for the purpose of collecting and using data to ultimately earn more money. Gap analysis of information you have and what you want. recommendations to create efficiencies, automate, and collect data to help serve your clients better. This one-hour course will help entrepreneurs better understand how to set up and navigate through Google Analytics. At the end of this mini-course, entrepreneurs will walk away with the tools necessary to use Google Analytics to learn more and earn more. 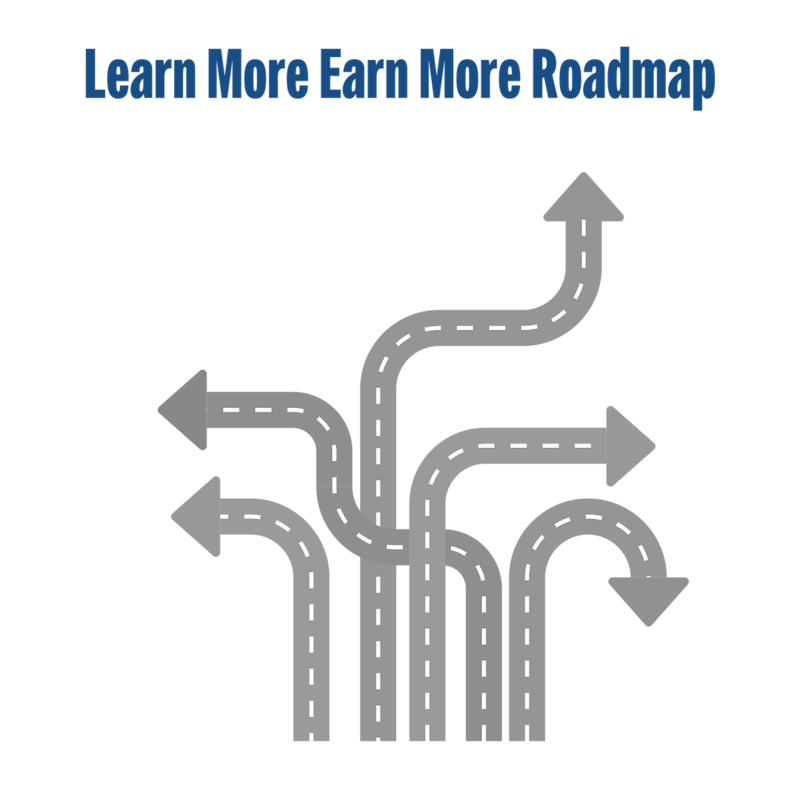 This roadmap will provide you with a phased approach on what data to collect and how to use that information to learn more about your clients and business to help you earn more. actionable steps to eliminate information gaps.